Can anyone remember the last time AT&T got any positive press coverage? Perhaps it was during the Bush administration? The first one … not the son. Yeah, I’d say it’s been about that long. This has not been a good week for AT&T — heck, it hasn’t even been a good month when you look back at the change in data plans — and it doesn’t look like it’s going to get better for them anytime soon. The week kicked off with the iPhone 4 pre-order system completely crashing, and that in turn saw people trying to log-in to their accounts and ending up in other people’s accounts. Yes, as in they could see all the personal information of these other people. Quick route to identity theft, eh? Then a new piece of information came out that even if you pay the $19.99 a month for unlimited calling the AT&T femtocell device, the MicroCell, any data you use would be counted against your data caps that were just established. 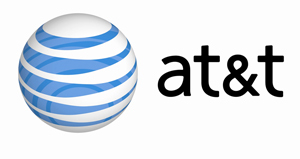 “The 3G MicroCell complements Wi-Fi by providing enhanced in-home voice coverage and reliable data when Wi-Fi may not be available — but it is primarily intended for voice calls,” an AT&T spokesperson said to Light Reading Mobile. So, even though you are using your own Internet connection, apparently AT&T feels it should count against your data plan. That makes sense … somewhere. In a final stroke of genius, phones powered by Google’s Android operating system primarily download applications from the Android Market, but in cases of beta tests like Swype, you need to download them from a third-party site. To do so you need to turn off a security feature which is pretty easy to do, but according to ComputerWorld, AT&T has disabled this ability in the HTC Aria. While many people complain about the fact the the iPhone is a closed system, that is a known factor when you purchase the phone; this is a case of AT&T actively removing a feature to keep you locked down to apps that they are aware of. Why would AT&T do this to an Android device? Well, AT&T can block some apps in the Market, such as tethering apps, but if you can install third-party apps from another site, AT&T has no clue what you’re doing, and they lose control.